Official name is a very long one, so no wonder it’s more commonly known as KKWing Stadium, the first word being a mix with both ‘K’ letters derived from Kumamoto (prefecture) and Kyushu (island). 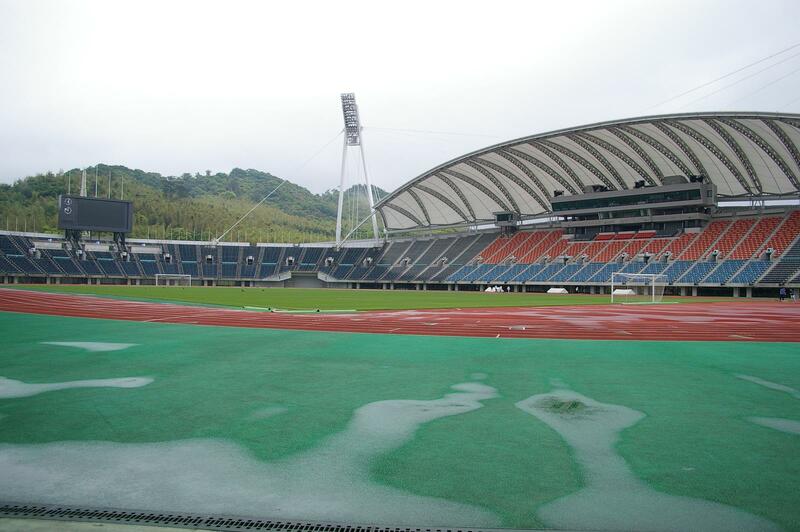 The stadium is centerpiece of Kumamoto’s largest sports park with its 32,000 capacity and from the start was to serve various sports disciplines. 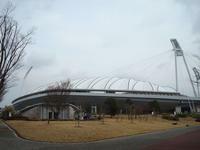 It’s neighboured by a secondary stadium and indoor arena. 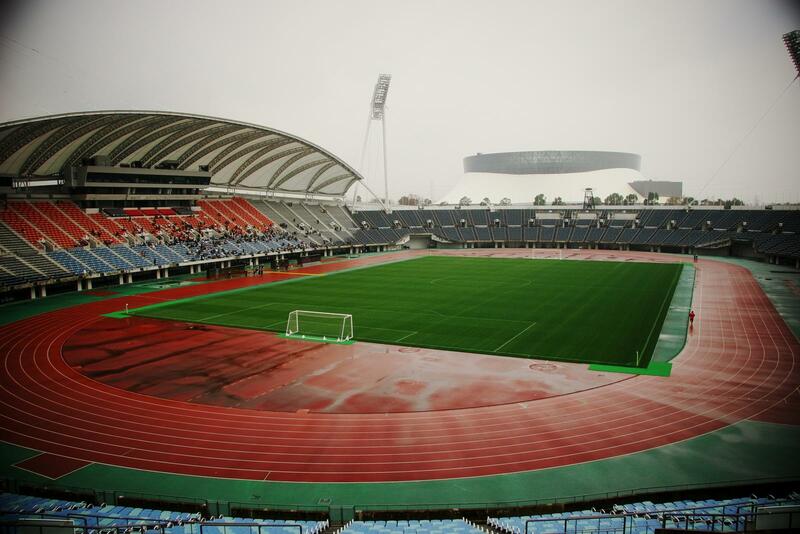 Despite a typical single-tier bowl layout with running track around the pitch, it’s quite distinctive among other Japanese stadia due to the wing-shaped roof with floodlight pylons used as support. 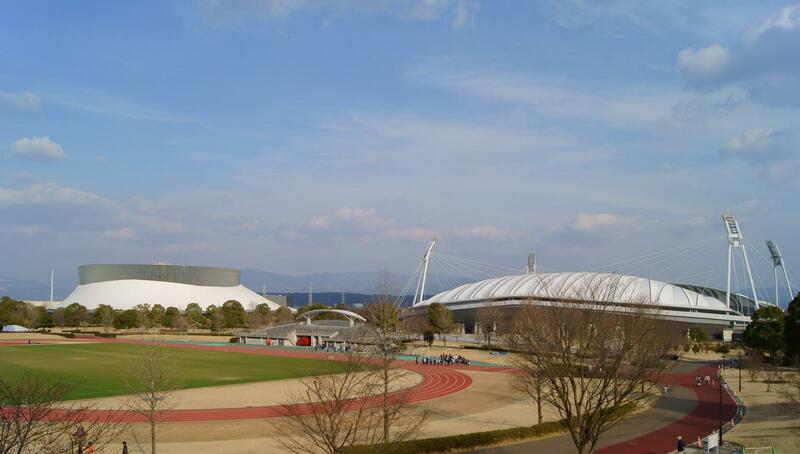 Already in the opening year, 1998, it served as host venue for Japan Athletics Championships and from 2002 it’s also home to football – first as training base for Belgium ahead the 2002 World Cup, then as similar base for several top clubs in Japan. But anchor tenant for football came no sooner than in 2005, when Roasso Kumamoto moved in, remaining the sole hosts after temporary use by Oita Trinita ended. Also Japanese national teams come here from time to time, including youth, female and primary selection.